Until recently, the DevOps movement was considered off-limits to enterprises, with the naysayers struggling to see how these large, complex and unwieldy organisations could ever hope to emulate the agile software development practices loved by smaller, nimbler startups. Big organisations are just too weighed down by bureaucracy, legacy technologies and waterfall-style software development techniques for DevOps to thrive, and any attempt to challenge the status quo will come to nothing – or so the rhetoric went. But what the detractors perhaps did not bank on is that many of the characteristics they considered to be at odds with DevOps are actually fuelling an appetite for change within enterprises, as many come to realise that doing things the way they always have done could put them at a competitive disadvantage. As such, enterprise IT leaders now realise that lengthy and restrictive software development cycles are no longer conducive to safeguarding their competitiveness or their ability to keep pace with the changing demands of their customers. Accordingly, they have grown frustrated with pushing out software products that their competitors have already bettered or whose functionality is out of step with what their customers want. They are also looking at how their competitors are drawing on agile concepts to ramp up the pace of software innovation within the walls of their companies, and seeing that – despite what the naysayers think – it is possible for DevOps to take hold within large organisations. For proof of that, one only needs to look at the roll-call of household enterprise names that are joining the DevOps movement, and see how many of them operate in highly regulated industries that some may traditionally consider ill-suited for agile. Computer Weekly has previously written at length about the steps enterprises must take to get their DevOps plans off the ground and scale them up so the entire business can benefit from agile thinking. This often means overcoming common challenges familiar to any organisation pursuing a DevOps agenda, including securing senior management support, fostering a collaborative working environment and creating a sustainable, continuous delivery pipeline. These are all considered important stages when it comes to scaling and converting small-scale (or departmental) DevOps activities into a company-wide initiative that the whole organisation can get behind and benefit from. But, as more and more enterprises pin their colours to the DevOps mast, other barriers to company-wide adoption are emerging that are either industry-specific or related to how an organisation operates. One such area relates to getting senior management to appreciate what continuous delivery and improvement really means in the context of DevOps, and the benefits this approach has on the software products they produce. As such, it is important for them to understand that continuous delivery means software projects may not be finished, in the traditional sense, by the time of release and subject to ongoing, iterative improvements. Otherwise, DevOps practitioners could see support for the projects they are working on dry up, warns Nicole Forsgren, CEO of the DevOps Research and Assessment (DORA) consultancy, as senior leaders mistakenly believe a product entering production means it is completely finished. Part of the problem is that many senior leaders are still wedded to the idea of using software maturity models to gauge how projects are progressing and, in turn, how they should be financed. And that way of thinking is out of step with how continuously developed products needed to be supported, says Forsgren. “There’s this strong push [from senior management] to go from level one to level five, for example, but we don’t see the industry working that way,” she adds. In situations where DevOps has begun as a grassroots movement within an enterprise, senior management support is considered essential to encourage its spread to other business units and for DevOps to be accepted as the company’s preferred means of developing new software products. As the number of success stories about DevOps-adopting enterprises grows, more examples are emerging of companies whose decision to join the continuous delivery cause can now be traced back to senior management leading the way. An example is German financial services firm Allianz, which credits a visit to Silicon Valley by its senior management team for encouraging DevOps to take hold within each of its business units. On their return, Allianz Deutschland senior leaders instructed each of the organisation’s business units to create an app in a DevOps style within a year, with the crop arriving three months ahead of schedule in August 2016. Where senior management is the driving force for DevOps adoption in the enterprise, resistance to change can occur lower down the company if the people responsible for delivering the firm’s agile ambitions are not quite bought into the idea too. Pockets of resistance occurred at Allianz, the company’s head of IT, Andrea Hirzle-Yager, admitted during the DevOps Enterprise Summit (DOES) in London in June 2017, with members of its security and compliance team most affected. The initiative also ran into teething problems, as the organisation’s developers and operations teams got to grips with how best to work with each other, which Hirzle-Yager rectified by getting members from both teams to sit round a table and discuss how to proceed. This environment also encouraged the members of Allianz’s security and compliance team to air their DevOps concerns, allowing the developers and operations teams to address them directly, says Hirzle-Yager. “If you don’t have your entire organisation aligned, it makes it that much more of a challenge,” she adds. DevOps and agile methodologies are seen as key ingredients of digital initiatives. 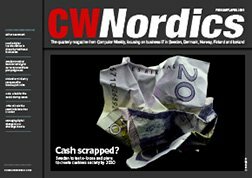 Computer Weekly looks at the management challenge. Developers are embracing DevOps to address the underlying problems of software failure. That is especially the case when an organisation is spread over 35 countries and has a 12,000-strong team responsible for IT and service delivery who all need to be included in its DevOps transformation, as is the situation for Spanish multinational banking group, BBVA. Brian Timmeny, the firm’s global head of advanced engineering, DevOps and engineering processes, says BBVA has worked hard to support the spread of DevOps across borders, language barriers and cultural differences. This has involved setting up leadership teams in each country to lead the DevOps charge locally, he says. “We set up our centres of excellence across the countries and set up competency centres, which assist with scaling DevOps in each of the countries to give that local touch of execution and ensure [they feel like] we’re there on the journey with them,” says Timmeny. In some organisations, there may be individuals who feel particularly aggrieved, or even alienated, by the company’s move to adopt DevOps, regardless of whether it is being pushed by senior management or emerged as more of a grassroots initiative. It is not always easy to find out who these individuals are, says New Zealand-based IT management consultant Rob England, who touched on this in his “Surviving DevOps” talk at DOES. If the resistance of these individuals risks holding up – or even derailing – the progress being made by the rest of the DevOps team, some practitioners advise taking a hard-line approach, and follow the “if the people don’t change, change the people” mantra. But England advises a more softly-softly approach that starts with getting to grips with why those individuals are downbeat about DevOps, before educating them on the long-term benefits of getting with the programme. When dealing with people who may not see the urgency or need to “move on” in this context, England says there are a few questions that can be used to “gee them up” and stimulate a bit of self-reflection about what they want from their career. It is also important for senior leaders to realise that getting people to alter their behaviour takes time and patience, and not to expect the laggards to change their ways and thinking overnight. “We can transform technology in an instant and transform process fairly quickly, but the rate of change of people – of culture, of behaviours and organisations – and getting senior management to understand can be challenging,” says England. But if these individuals really have no appetite for change, or any interest in helping the firm achieve its DevOps goals, senior management should help them exit in a graceful way, he says. “Work moves on, and we need to move people along and that is part of the challenge. That might mean they exit, but we want them to safely exit the transformation and look after the people who go.